The impact of Africa’s expanding oil industry on the global economy is fast becoming difficult to ignore, especially with the emergence of new oil fields along the West African coastline. The importance of the industry will be showcased next month in Namibia, when leading oil producers from across the sub-region will meet with international customers to share and exchange insight, as well as discuss investment opportunities. With over thirty-five years experience in Africa, Global Pacific & Partners will host the 20th Western Africa Oil, Gas/LNG & Energy 2014 Conference, at the Country Club, Windhoek, Namibia, on the 15-16 April 2014. The conference will coincide with the ‘10th Western Africa: Strategy Briefing’ which will also be taking place on the 14th April at the same venue. The “Western Africa” arena covers a vast oil and gas exploration zone – one of the world’s richest and most promising for ventures- from Morocco to the Cape, including island states, with an enormous offshore zone and hydrocarbon potential. This lucrative zone sits alongside prospective deep water blocks, ultra-deep opportunities only to date marginally explored, Exclusive Economic Zones, and promising pre-salt potential analogous to Brazil. 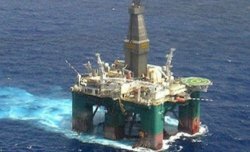 The 10th Western Africa Strategy Briefing, which is being held on the 14th April, will provide an unrivalled set of key insights on the Western Africa oil, gas and energy industry, built on over 30 years of oil and gas research, tracking shifting oil-gas, energy maps in Western Africa. Global Pacific & Partners sponsors the PetroAfricanus Club and the Sub-Saharan Africa Petroleum Exploration Society (Sapex). The PetroAfricanus Club Club provides a unique global networking forum and social program for corporate and state players in Africa’s petroleum industry, across the value chain. • Annual Program of Club receptions held in London, Paris, Windhoek, Nairobi, Johannesburg, Lagos, Geneva, Marrakech, Nicosia and Tunis by-invitation only. • The annual PetroAfricanus Dinner in Africa is held in Cape Town during its landmark Africa Oil Week. Membership is typically made available to senior executives within Africa’s oil and gas industry – including inter alia: oil and gas operators, state oil and energy companies, Ministers and Ministry officials, service-supply players, and those engaged in Africa’s oil, energy law, oil and gas banking, investment and finance. The Sub-Saharan Africa Petroleum Exploration Society (Sapex) is an initiative of the African Institute of Petroleum. Its Secretariat is managed by Global Pacific & Partners. Sapex brings together explorationists and geoscientists on the continent, through an alliance of companies, state oil and gas entities and members. Membership is gratis to individuals in geoscience and technical fields, and to companies active in Africa’s upstream industry. The aims of Sapex are to broaden relationships amongst Africa’s industry and geosciences communities; act as an interface for members inside and outside Africa; encourage Geological Societies in Africa to affiliate to Sapex; provide a focus for knowledge and technical content sharing; host a dedicated e-conference for technical presentations; manage an online “Africa Deal Flow” Forum; host a Technical-Exploration Panel at Africa Oil Week; and manage archives with third party data for geoscience or technical insights.